Brace yourself as Black Friday shopping season is back! It’s getting bigger and exciting than ever! It’s the time of the year again for another exciting Black Friday shopping! Though Black Friday will start on November 24, online shops such as Amazon started it early by holding their annual countdown to their Black Friday event. They showcase the products on sale, promotions, and discounts. For Amazon, the products on sale and its’ prices are shown by categories: Deals of the Day and Lightning Deals. For those who are not familiar with Amazon, Deals of the day offers hot new items every day; while the lightning deals are items that only available for a limited time and it started every five minutes. Amazon also offers special promotions like free two-day shipping and early access to deals for their Prime Members. So, if you’re hunting for a new camera or accessories, whether for gift giving or a treat for yourself, this is certainly the best time to shop for it. Below are the lists of some of Amazon’s best deals for cameras and accessories. 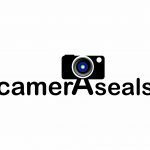 Digital SLR, camcorders, mirrorless cameras or sports & Action camera – any cameras you may need, you can find a good deal of it. Canon is popular for its’ PowerShot and Rebel brand lines of cameras. One of the Canon cameras on sale now is Canon EOS 80D Digital SLR Kit with EF-S 18-135mm f/3.5-5.6 Image Stabilization USM Lens (Black) for about 20% off. FujiFilm has been known for developing the first fully digital camera in 1988. Since then FujiFilm continues to produce leading-edge products with advanced technologies. One of the FujiFilm cameras on sale now is Fujifilm Instax Mini 9 for also close to 20% off. Olympus has been highly admired for its’ M.Zuiko Digital lenses as it offers top-class image quality that every professional photographer requires on a camera. One of the Olympus cameras on sale now is Olympus OM-D E-M1 Mark II 4K Mirrorless Camera Body, 20.4 Megapixels, 5-Axis IS, 60fps, 3-Inch Touch LCD, Black for under $1,699. Nikon has been known for its’ budget-friendly and high-tech professional cameras. And this year, Nikon marks its’ 100th anniversary. Other brands such as Bose, Garmin, Intel, Samsung, and Sonos are also available. For cameras’ accessories, Amazon has a lot of good deals of it and they organized it by sub-categories: Accessory bundles, bags & cases, blank video media, cleaning equipment, flash accessories, lighting & studio, remote controls and more. Kupton Accessories for Xiaomi 4K/ Yi 4K+/Yi Lite for under $29.99 – This kit also includes Xiaoyi 4K Waterproof Housing Case, Head Strap, Chest Harness, Car Suction Cup, Bike Handlebar Mount and Floaty Handle Action Camera Starter Kit. Backpack Case for DJI Phantom 4 Quadcopter for under $49.99 – This Backpack Case includes a 4K UHD Video Camera Drone Waterproof Shoulder Bag Outdoor Protective Carrying Casing (Original Styrofoam Case, Batteries, Propellers are NOT Included). Anker PowerCore + mini, 3350mAh Lipstick-Sized Portable Charger for unde $20 – It is a 3rd Generation, Premium Aluminum Power Bank and one of the most compact external batteries. SanDisk 16GB Mobile MicroSDHC Class 4 Flash Memory Card with Adapter for under $10. Micro USB Cable for under $10 – It includes covery 4 Pack (1x1ft, 2x4ft,1x6ft) Nylon Braided Samsung USB Cables/Android Cables, Micro USB Charging Cables for Galaxy S7/S6/, Sony, Motorola and more. Camcorder Video Camera 24.0MP Digital Camera Full HD 1080p Night Vision Pause Function with 3’’ LCD Touch Screen Remote Controller for under $70. Fixget 2 Pcs Screen Protector (Screen and Lens) for Hero5 Black / Hero 6 for under $8 – It also includes ultra-clear tempered-glass with lens cap cover. RAVPower Portable Charger for under $59.99 – This includes 26800 Battery Packs 26800mAh Total 5.5A Output 3-Port Power Bank (2A Input, iSmart 2.0 USB Power Pack) Portable Battery Charger for iPhone, iPad, and other Smart Devices. Tamron Auto Focus 70-300mm f/4.0-5.6 Di LD Macro Zoom Lens with Built In Motor for Nikon Digital SLR (Model A17NII) for 35% off. Manfrotto MB PL-3N1-26 Professional Pro Light Camera backpack 3N1-26 for DSLR/CSC/C100, Black (MB PL-3N1-26) for under $110. Datacolor Spyder5 EXPRESS for under $130 – This is designed for Hobbyist Photographers (S5X100). For more deals for cameras and their accessories, you can check out Amazon’s electronics gift guide under photography. First on the list is you need to know the exact date when the sale will start and end. For Black Friday sale, shops usually start on November 17 onwards or earlier. Look for previews of the products to be on sale for every shop. This will help you know which shops offer the best deals. Look for coupons. Not all products will be on sale, that’s why having a coupon is handy because you can still buy the products you like at a discounted price. For some shops, they have a mobile application. It is best to download it for you to know firsthand the promotions they will run for their incoming sale. This is also a good option for people who don’t want to get out shopping on physical stores during the holiday sale. For most shops, they offer memberships. Though, joining is optional; there are some shops that have great perks for their registered members. Amazon, for example, they offer exclusive promos, early sale access and discounts for their Prime Members. Lastly, know the best day to shop. Knowing the right place to shop with a good plan on-hand, there’s no doubt that you’ll end up scoring the best deals. But if any case you didn’t score any good deals this Black Friday sale, don’t worry as there are more sales coming, like, Cyber Monday sale.